What lies at the intersection of fashion and feminism? A rich tapestry of emotion, politics, and humanity, if you cared to explore it like Manjima Bhattacharjya. For four years, the writer-researcher-activist went on a quest, stemming from her doctoral research, to paint an authentic picture of working women in the fashion industry. 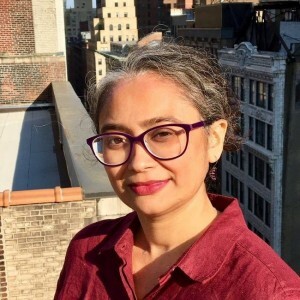 The idea for the book came in a moment of recognition, when she watched a former Miss World claim her space on a TV debate, saying to a women’s rights activist, “You women activists have fought so hard to get women like us where we are… And now when we have a voice, you want to suppress us?” As an activist deeply invested in the Indian women’s movement, Manjima, you could say, had mixed feelings. Therefore all the more credit to her, because the strength of Mannequin undoubtedly comes from the women themselves. It is very clear that Manjima spent a whole lot of time, sweat, and energy with them, and thought/wrote about/empathised with them extensively. While reading, one gets the distinct feeling that Mannequin was originally tomes and tomes of interview notes, before the writer-editor synergies took off. Manjima’s ethnographic approach to the project – reflecting in her deliberate choice of interviewees, based on which part of India they came from, how they started off, the number of years they spent in the profession, the different kinds of professions within fashion (print, ramp, TV all come with their own specific sets of pros and cons) – creates a rich spectrum, presenting a multi-layered picture of the working woman in fashion. In Mannequin, we meet Kavita, Miss Agra, a former North East title winner, a 24-year-old from a family of weavers in Benaras, one of the earliest Miss Indias (“Today’s girls, if they join a contest and win it, they’re not going to waste it. They’re not going to get married and have kids at 22 like I did.“), Josy from Kerala who tried to lobby for models’ rights and start a union. The book has a keen sense of narrative, illustrated in smart and strategic storytelling tactics, interspersing moments in time with interview transcripts and even seating maps of Fashion Weeks, ensuring the reading never becomes tedious. The feminist protests outside the Miss India pageant held in Mumbai of the ’90s, for instance, become a strategic flashpoint in history, documented here for an entire generation that has no clue that the bikini round of the pageant was moved out of the country, as a result of the protests! Manjima Bhattacharjya. Photo courtesy author’s Facebook page. The political intertwines with the personal, complete with desires, ambitions, and flaws: what Mayuri has to say (“Whatever I am doing, I am doing with my own effort. 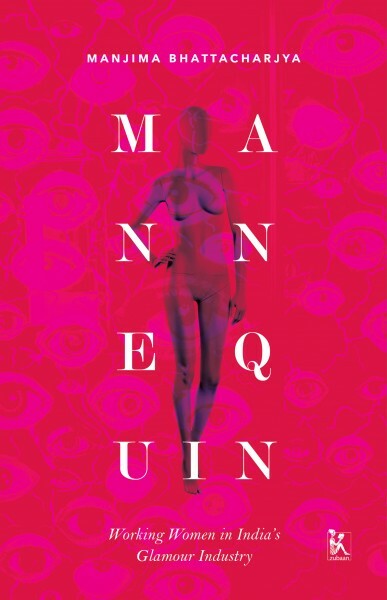 Some of my relatives spend half their life getting a degree and still do not find jobs…”), how Vinita and Pragati navigate the rampant sexism, how Noelle has kept it together for decades, and why the industry broke Palash – all of this is what makes Mannequin the quiet and brilliant achievement it is. Caution: Not for weak-willed feminists who believe that Kipling actually had fashion & feminism in mind when he declared ‘never the twain shall meet’. Pooja Pande is the lead reportage editor for Papercuts magazine. She is the author of Red Lipstick: The Men in My Life (Penguin Random House India, 2016). This entry was posted in Book Reviews, South Asian Writing and tagged ethnography, fashion, feminism, Manjima Bhattacharjya, Zubaan. Bookmark the permalink.